Whenever the month of Dhul Hijjah approaches, we remember the ordeal that Ibrahim (as) had to go through during his old age. It was a unique event of its kind, and which history has never mentioned one similar to it. you have fulfilled the vision. Thus do We reward the doers of good. ‘That was indeed a clear trial. 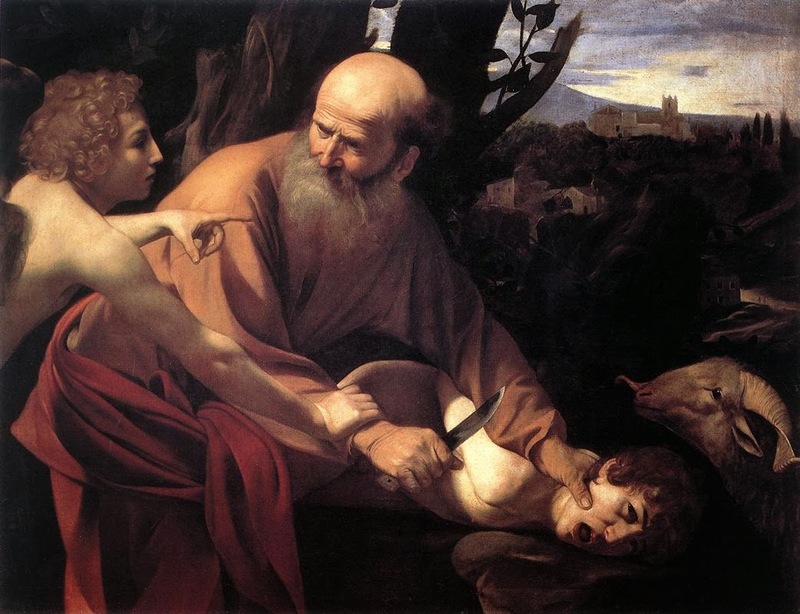 And We ransomed him with a great sacrifice.” (37: 104-108). If Ibrahim (as) was the subject of such a trial, certainly the Supreme Creator does not require from us this heavy burden. But everyone must know that success in the life on earth, and especially that in the hereafter will never happen as long as the concept of sacrifice is not well rooted in the mind and heart of the believer (the servant of Allah). The sacrifice is not limited to ‘Qurbani’ or ‘Udhiya’ (blood sacrifice) that everyone already knows. But this term has a much broader meaning. And so the term means to sacrifice in a larger than life way, to give oneself and one’s wealth for the cause of Allah (swt) acknowledging that His words are much better than those of mere humans. Islam is a religion that encourages the believer to sacrifice in all ways. The believer is obliged to sacrifice his life and his soul in order to make Islam prevail over all other religions. 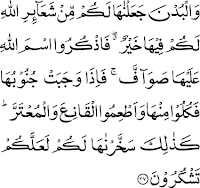 He must sacrifice out of his wealth and spend it in the way of Allah just like the Supreme Legislator has commanded. 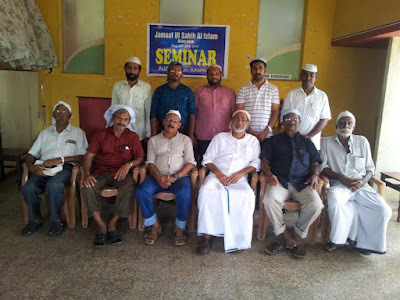 On the occasion of Eid-ul-Adha 2015, Jamaat-Ul-Sahih-Al-Islam-Kerala, South organized a Two-Day Spiritual Retreat Programme at the historic Noor'ul Islam Masjid, Mathra. 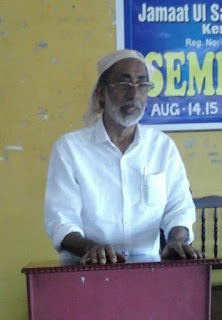 The Amir Jamaat, Jenab R. Jamaluddin Raother Saheb led the discussions and meeting proceedings held on September 24-25, 2015. Alhamdulillah, Soumma Alhamdulillah, those who participated in the Retreat, left the Mosque with a renewed sense of spiritual awareness and unique internal contentment/ inner peace. 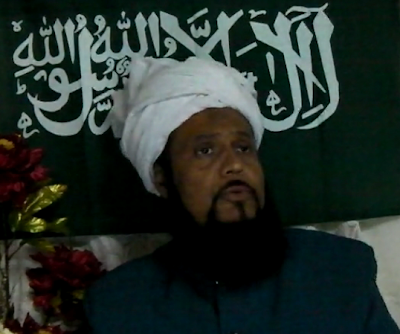 The various expositions of Islamic teachings and viewpoints made by the Khalifatullah of our times, Hadhrat Munir Ahmad Azim Saheb (atba) of Mauritius-who is a living Renewer of the Faith of Islam and a frequent recipient of Divine revelations- formed the backdrop of the proceedings and discussions at the Retreat. Presented below is the Transcript of the special Message delivered the Khalifatullah (atba) for the benefit of the fledgling Kerala Jamaat. It gives me great pleasure to know that you are holding a two-day special spiritual retreat and maximising your attention and efforts in tarbiyyat and tabligh. May Allah (swt) bless your efforts. Ameen. I pray to Allah (swt) that the spiritual retreat may prove a step forward towards realising the aims and objects for which the Jamaat Ul Sahih Al Islam has been founded. 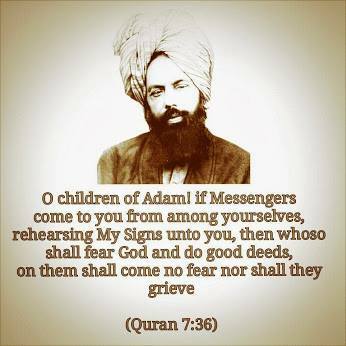 The banner of Islam has to be raised aloft, higher than all other banners, and the message of the Holy Quran has to be conveyed to every human being, of every colour (black, brown or white) and race etc. The world is groping in darkness. There is a sense of frustration all round. Despite all worldly comforts there is unrest and uneasiness in every heart. This is because people have forsaken religion and lost contact with their Creator. In this wide world, there is one and only one community – the Jamaat Ul Sahih Al Islam – which is blessed with contentment and satisfaction by the Grace of Allah. The angels descend upon them from heaven and bring solace to their hearts. This is because they firmly believe in a living and Almighty God who manifests profusely His signs of grace, keeps them safe from all dangers and sustains them in all their difficulties. Who, when (the name of) Allah is mentioned, their hearts are fearful, and (to) the patient over what has afflicted them, and the establishers of prayer and those who spend from what We have provided them. 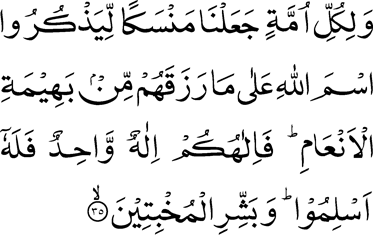 And the camels and cattle We have appointed for you as among the symbols of Allah; for you therein is good. So mention the name of Allah upon them when lined up (for sacrifice); and when they are (lifeless) on their sides, then eat from them and feed the needy and the beggar. Thus have We subjected them to you that you may be grateful. The great advices mentioned in these verses apply to every aspect of human life. First they teach us the meaning of sacrifice. And they teach us that we are dependent on these animals (cattle) because we get all kinds of supplies from them. And there are other benefits that are related to these quadrupeds to facilitate your life. Certainly, it is on these types of animals also that you travel. The twelfth and last month of the Islamic calendar is the month of the pilgrimage (Hajj), commonly known as ‘Dhul Hijjah’. It is a month full of blessings and as the name indicates, it is in this holy month that we, Muslims perform the Hajj, the fifth pillar of Islam. In this blessed month, one must make maximum of acts of worship (Ibaadat), such as: supererogatory (Nafil) prayers (Salaat), Tilawat-ul-Quran, fasting, reciting the Takbir and Tasbih and giving Sadaqaat etc. because there are many blessings and rewards in these works, especially during its first 10 days. 4. 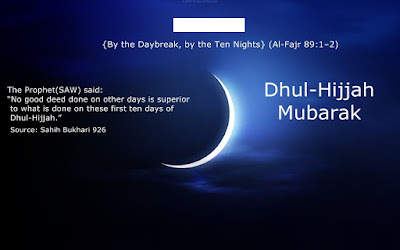 To perform before the mandatory Fajr Salaat two cycles of Sunnah prayers (Salaat). 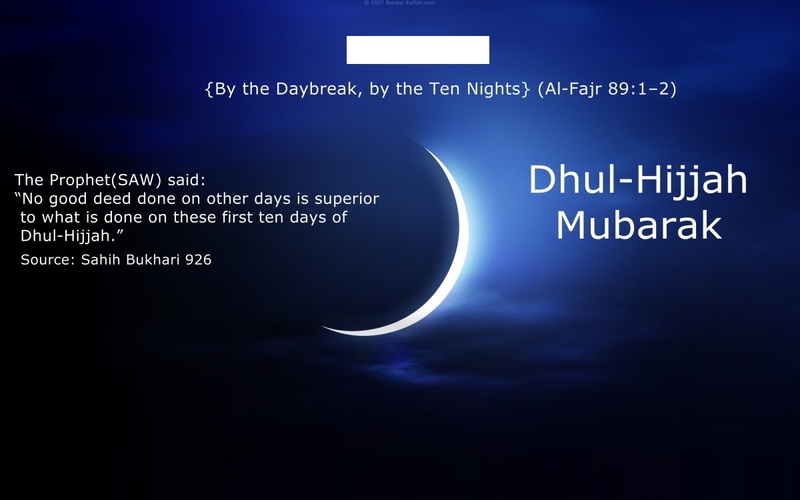 The Holy Prophet Muhammad (pbuh) demonstrated the virtues of the first ten days of Dhul-Hijjah. In his Friday Sermon of September 18, 2015 (04 Dhul-Hijjah 1436 Hijri) the Khalifatullah Hadhrat Munir Ahmad Azim Saheb (atba) of Mauritius shared his thoughts on the recent tragic event in Mecca where a crane crash caused the death and injuries for hundreds of pilgrims who flocked to the City of God for the annual pilgrimage of Hajj. Based on his fervent prayers for the victims of this tragedy and the subsequent Divine revelations in this context, the Khalifatullah (atba) ruminates on the meaning of life and death for believers in the complex conditions of our times. ...And as I’ve said, here in Mauritius we received on Friday night, 11 September 2015 the sad news of the tragedy that occurred at the Grand Mosque of Mecca where 107 people died after a huge crane collapsed and in which more than 230 people were also injured. It happened a few days before the great pilgrimage that drew hundreds of thousands of faithful around the world. 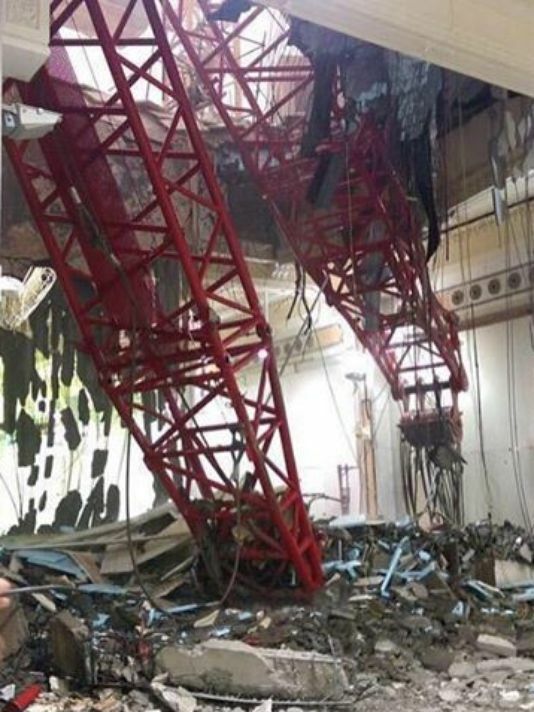 A crane on the Great Mosque in Mecca collapsed in a storm. Its presence there was because of the expansion work in the area around the Grand Mosque in order to further accommodate 2.2 million people for the forthcoming Hajj. And so, this is the worst tragedy that has overcome the holy sites in Saudi Arabia for years. But Insha-Allah, it will not affect the beginning of the Hajj, on 21st September. According to news received, all Muslims from the different nations who were there, they all mobilized to give a helping hand to the wounded and make all arrangements for our brothers and sisters who have died. At that very moment, there was the image of united Muslims, where everyone volunteered to donate blood to save the lives of their Muslim brothers and sisters. - I beg Allah, The Great, the Lord of the Great Throne, to grant them cure. "...I would like to briefly address on the unfortunate incident which has transpired last week (04-05 September 2015) at Rivière des Anguilles in the South of Mauritius. The Jamaat Ul Sahih Al Islam and this humble self strongly condemn what some strong-headed and senseless “Muslims” have done at the Amma Tookay Temple, wrecking some idols found there under alcohol influence. Islam is a tolerant religion, and preaches no compulsion in religion and respect for others. Both Allah, our Glorious Creator and our perfect role model, Hazrat Muhammad (pbuh) have both condemned such acts because, when one, in occurrence a person who says he is Muslim abuses and wrecks the idols of other faiths on his own, then he is in fact inviting the other party to abuse Allah and Islam and to wreck the perfect teachings of Islam. 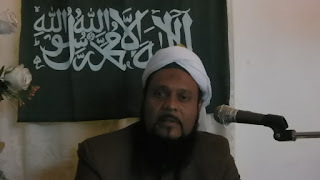 It is very unfortunate to see what had happened in the south of Mauritius, as I told you last week how a few idiots spoiled the image of Islam and its teaching. Was all that they did Islamic? 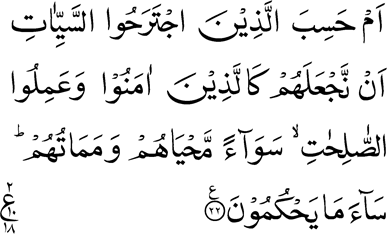 First, by the despicable way they behaved, they disobeyed the commandments of Allah and His Messenger (pbuh). So these kinds of people cannot say that they are Muslims. I ask those who have the habit of giving fatwas (judgements) on who are Muslims or not, therefore, with such vile actions – and from the teachings of Islam vis-à-vis other religions – can these people still be considered Muslims? 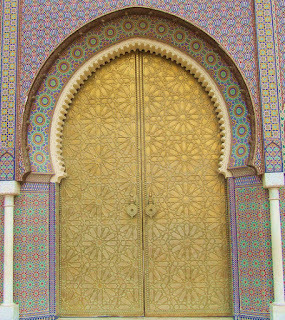 The religion of Islam has never granted permission to insult, provoke or denigrate people or their beliefs. Rather Islam teaches Muslims that tolerance in religion (Islam) is a virtue, and therefore, a Muslim by the belief he professes, he must be someone friendly and who ensures protection for the life, honour and property of his countrymen. 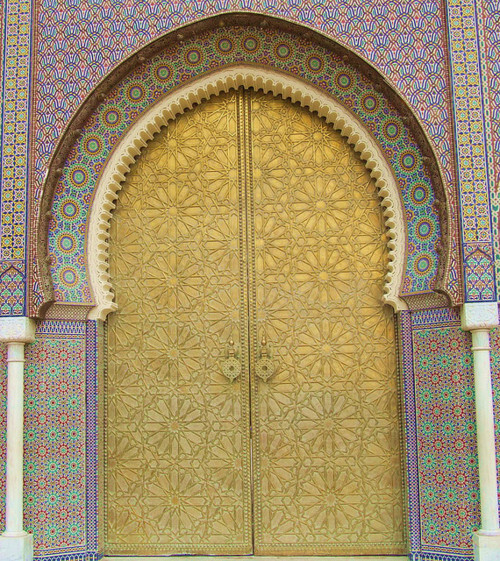 He must not do anything wrong to harm the reputation of others and should respect the beliefs of others and their places of worship. The Holy Prophet (saws) said that the best Muslim is the one whose hand and tongue do not harm anyone. “This (Quran) is enlightenment for mankind and guidance and mercy for a people who have Faith with certainty. What! Do those who commit evils think that We shall hold them equal with those who believe and do righteous deeds - that equal will be their life and their death? Ill is the judgment that they make. By the grace of Allah, I continue my sermon today on the same subject that I started two weeks ago. In my last Friday Sermon (04 September 2015), I told you that when Allah makes this honoured treatment with someone (where the person is under the refuge of Allah), then it is as if he/she becomes a beautiful plant that emerges, which flourished (in the Garden of Allah). He becomes a plant of good deeds, a plant that yields fruit. Allah protects him and keeps away from him all sorts of problems and dangers. And when after addressing Allah in this way you have patience, you will certainly find what treatment Allah shall do with you! These are the same verses of Surah Al-Jathiya (Chapter 45) which I explained last week and my explanation is not yet completed. 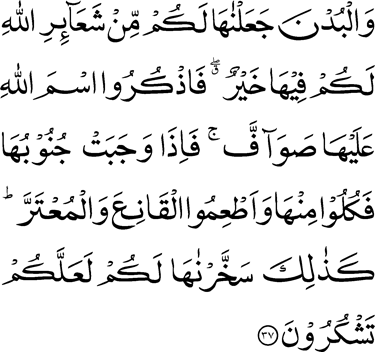 Thus, by the grace of Allah, I now continue my explanation of these three verses. So Allah’s wrath is coming down on earth, and only those who make a complete repentance for their sins and come in the refuge of Allah, they are the ones who will be saved from the divine punishment. Certainly the life and death of the righteous people can at no time be like the life and death of those who are immersed in evil. If you want to come in the refuge of Allah, then you need to make Tawbah (repentance) sincerely for all your past sins and present yourself in the refuge of Allah. If you do this, then Allah will create such qualities in you, so that people can testify that there is really between you and them a clear distinction, and where then there will be no need to enter into debates on the subject. Everyone will clearly see the difference, especially those who really want to see that. Now, how will they find this difference, and what treatment has Allah reserved for such people? By the grace of Allah, our brothers from the Jamaat Ul Sahih Al Islam, Kerala – North Zone organised a special 2-Day seminar, focusing on the intention and aims of the Jamaat Ul Sahih Al Islam, and the advent of a Khalifatullah to all people teaching them the way of life, the way to Allah which Islam entails. 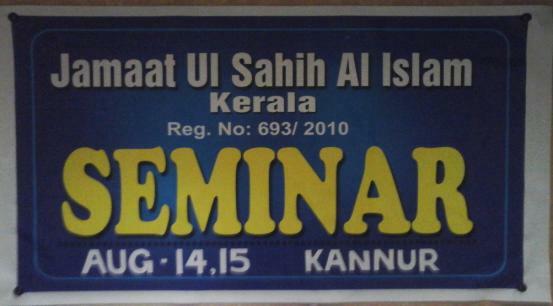 The seminar started after the Salat-ul-Jumu’ah on Friday 14 August 2015 with a Holy Quran reading by our brother E. Hamza Saheb at 4.00 pm. The Zonal Ameer, Janab Dr. Thahir Sahib inaugurated the seminar and delivered the speech. 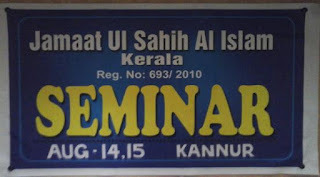 In his speech he described deeply the intention and aims of the Jamaat Ul Sahih Al Islam. He described that after the establishment of the Jamaat by its founder Hazrat Munir Ahmad Azim (atba) and his proclamation as the Khalifatullah of the age – and as posted on the official website of the Jamaat – the Khalifatullah has explained that the Jamaat Ul Sahih Al Islam is not a new religion or a branch of other existing organisations. It was indeed the fulfilment of the prophecy of Hazrat Muhammad Mustapha Rassool-e-Kareem (saws). Allah appointed Munir Ahmad Azim (atba) as the Messenger of Allah in this 15th Century Hijrah to revive the lost belief (faith). The Jamaat is a group of believers, which has been established by the reformer Hazrat Munir Ahmad Azim (atba) after getting revelations from Allah (twa).